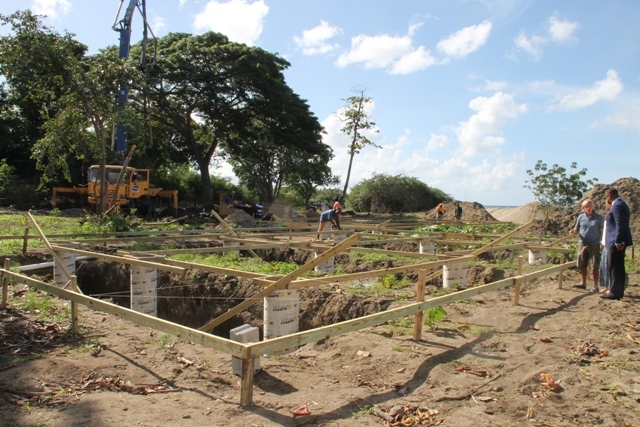 NIA CHARLESTOWN NEVIS (January 09, 2017) — Paradise Beach, a top class gated resort on Nevis’ west coast is expanding its property. 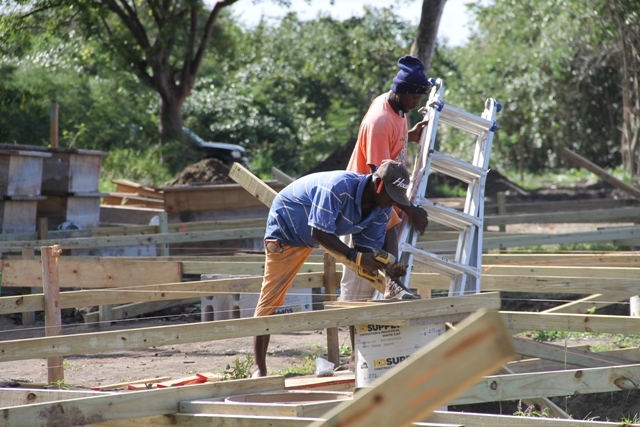 Construction work for the addition of five two-bedroom pole villas commenced two weeks ago. 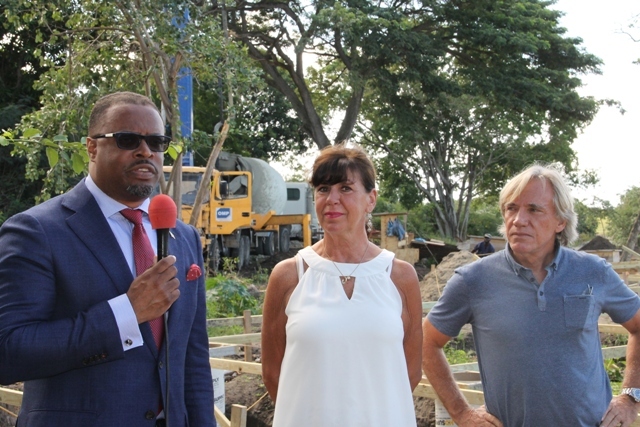 During a tour of the construction site with Acting Premier of Nevis and Minister of Tourism Hon. Mark Brantley and Project Manager Peter Tantram, the resort’s General Manager Donna Woolfenden described the six-month project as an exciting and very quick adventure. In a brief overview of the project, Tantram said the pole houses will be wooden pre-fabricated structures, standing seven feet above ground level, to guard against possible sea swells and mitigate damage as a result. “We hope to complete the construction of all five in about six months. It’s ambitious but I think we will manage it. Meantime, Mr. Brantley noted the significance of the project to the Nevis Tourism product. 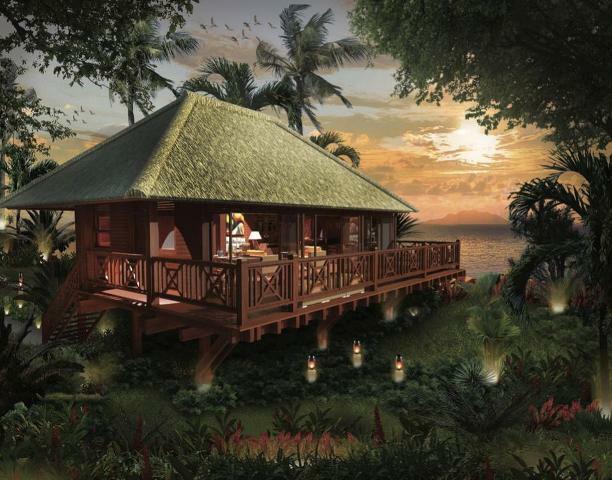 “I think it also introduces something completely new that we haven’t seen before in Nevis which are this pole house concepts which look out on to the ocean, the Caribbean Sea. “I think this is a perfect win/win situation. For me, now, it is the standard bearer for luxury in Nevis and in the Caribbean…I have no difficulty endorsing them and saying to them that we are very, very, happy in Nevis with the excellent work they have been doing and congratulate the owners, the management and the staff,” he said. The Minister suggested that Paradise Beach, Nevis has quietly become one of the most sort after destinations on the island for tourists. He urged management to continue investing in the property and thanked them for their continued confidence in Nevis and its tourism industry. The Minister noted that the project underscores investor confidence in Nevis and in the tourism industry. He expressed hope that through the partnership with the Nevis Island Administration, the private sector would continue to engage and expand the level of foreign direct investment into Nevis. He said the NIA continues to do all it can to advance the island and to develop its tourism product, an important factor to the island and its future. “We are very happy and I can’t tell you how excited I am and how pleased I am to be here… as we start construction in earnest on these new units,” he said.